Watling Street by John Higgs. 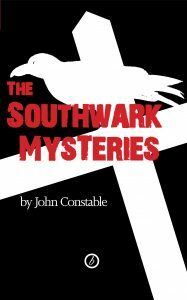 Chapter 5 ‘Cross Bones: The blessing of the Winchester Geese’ (pp.99-131) relates the genesis of The Southwark Mysteries and the work at Crossbones. The Walworth Beauty by Michele Roberts. Crossbones was extensively referenced in papers presented at the 2016 Urban Sacred In Southwark conference. In Defense of the Dead: Materializing a Garden of Remembrance in South London by Steph Berns.